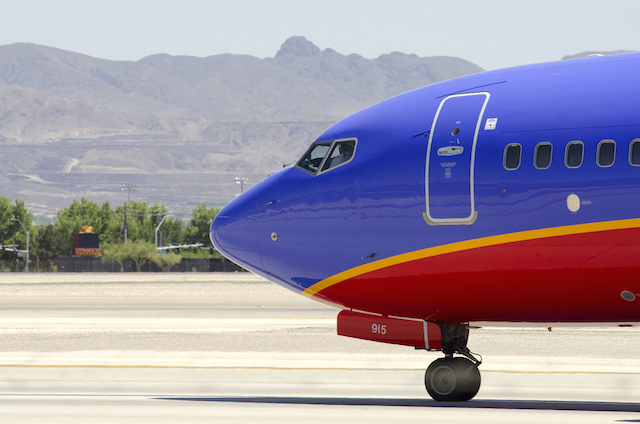 Southwest Made Almost $400 Million Last Year on This Fee – And It Wasn’t a Bag Fee! Southwest, famously, allows every passenger 2 bags with no fee. This can be a savings of $120 on a roundtrip compared to other carriers. But, Southwest still makes money on fees with this one fee bringing them almost $400 million in 2018. One of the attractions of Southwest has always been that your “bags fly free” with them. As other US carriers charged more and more, Southwest continues to proudly stand on their baggage policy – and it has served them well! A passenger traveling with 2 bags on Southwest could save $120 by flying Southwest over a carrier like Delta! The truth is that baggage fees are not the only fees that bring in the money. It is an easy one, especially when airlines restrict carryon sizes and even make people check bags while at the gate (and charge a fee, if it is over). US airlines regularly bring in hundreds of millions of dollars a year just with baggage fees (American brought in almost $1 billion in the first 3/4 of 2018 just in baggage fees!). But, Southwest has gone a different way. Instead of charging for bags, they have a popular program that has done very well for them. It is the “Early Bird Check-In” program. The Early Bird Check-In costs from $15-25 and allows passengers to avoid having to check in right at the T-24 hour mark. All Southwest passengers know that if you don’t buy that or you don’t check-in at the 24 hour mark, you very well may end up with a “C” boarding pass that could have you in a middle seat for a long flight! This program, the Early Bird Check-In program, has reportedly brought in close to $400 million in 2018 (it brought in $358 million in 2017), according to this USA Today article. Of course, that is well-off what the other airlines bring in for baggage fees and the other airlines are also making money on advanced seat selection fees (though not as much as Southwest). I regularly hear people complain about the baggage fees but not so much about Southwest’s Early Bird Check-In fee. My guess would be that people are paying for that for the convenience of not checking in at the T-24 hour mark so it isn’t as grudging a fee as paying for your suitcase. By the way, the Southwest Priority card is actually a great card for anyone that does use Early Bird Check-In as you will get 4 priority boarding passes each year and also a $75 travel credit you can use for things like Early Bird Check-In. Early Bird check in fee is a fee that’s easy to swallow as it something the is completely optional where as bag fees for the most part aren’t. and why would you trust all those losers down the ramp not steal from your bags ? i frequently get 3 bags 70lbs free each as Star Gold and don’t bother checking even 1 bag precisely for zero trust in those losers.